WASHINGTON — As the government shutdown drags on through two full pay periods now, hundreds of thousands of people around the area are looking at a month of no pay, regardless of whether they worked or not. 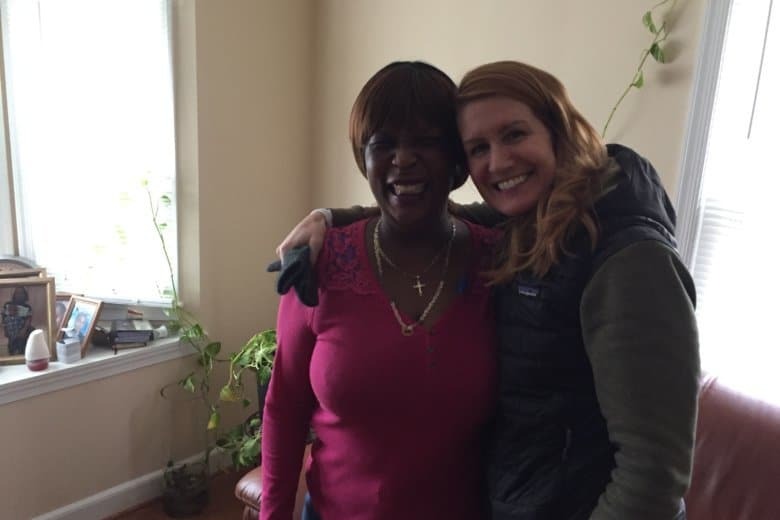 One Capitol Heights, Maryland, woman is feeling the effects of the shutdown, but was surprised Saturday when a good Samaritan stepped up to help. With both agencies shut down, a second paycheck is about to be missed, and she confessed she didn’t know how she would pay her February mortgage. Kimberly O’Grady of Arlington reached out to WTOP and asked if she could help. Saturday morning she showed up at Murray-Wright’s home with flowers and a gift bag, which included money that will help cover that February mortgage payment. “Who’s going to give me a gift like that? !” Murray-Wright asked, with amazement in her voice and tears in her eyes. After about 10 minutes, O’Grady got up to leave, but not without more hugs from her new friend.